If a Weedeater Featherlite has trouble starting and all the usual troubleshooting routes have been explored then the issue may be poor engine compression pressure. The usual non-start routes include gas, fuel lines, carburetor, air filter and spark plug. The piston in the weedeater engine has piston rings that prevent the combustion chamber pressure from escaping past the piston and into the crank case. Furthermore if the engine cylinder’s valve is not seating correctly then air may be passing by the valve and into the carburetor. 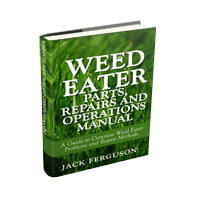 A simple check with the aid of a compression tester can determine if the weedeater is not starting due to poor pressure. For weedeaters the compression pressure must be greater than 60 lb. per square inch or PSI. If the pressure is less than 60 psi then the cylinder is loosing pressure and the engine will not start. If this is the case then the engine will only ever work again if it is reconditioned replacing piston rings, valves and valve seats. Unfortunately it is cheaper to buy a new weedeater featherlite then reconditioning your existing trimmer engine. However a compression test conducted by yourself is a very cheap and effective way to troubleshoot the problem and save you time and money replacing other parts thinking you have a traditional non-start problem. At the very least you can eliminate the possibility that you have poor compression pressure. Ensure that the weedeater featherlite is off and not running. Remove the spark plug cap located on the engine. Remove the spark plug with the aid of a spark plug socket wrench. Purchase a compression tester or borrow one from someone else. Push the free end of the compression tester hose into the recess that the spark plug was screwed into. Watching the compression tester gauge pull the starter cord a number of times until the needle reaches a peak pressure. Remember! A weedeater must generate more than 60 PSI or lb. per square inch to be able to start the engine. 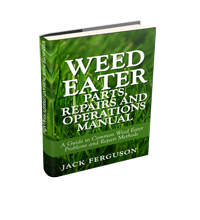 If your weedeater is less than 60 psi then your engine cylinder has a leak or the piston cannot compress enough air. Need a Compression Tester or Parts?